Instantly downloadable sheet music by Anna Laura Page for choir and piano (2-Part) of MEDIUM skill level. Alle Notenausgaben von Come To Us zum Herunterladen bei VirtualSheetMusic. Alle Noten von Anna Laura Page zum Herunterladen bei VirtualSheetMusic. Instantly downloadable sheet music by Miscellaneous for choir and piano (SATB) of MEDIUM skill level. Alle Notenausgaben von Songs Of Peace zum Herunterladen bei VirtualSheetMusic. Instantly downloadable sheet music by Traditional Rhyme for choir and piano (2-Part) of MEDIUM skill level. Alle Notenausgaben von Songs Of The Sea And Sky zum Herunterladen bei VirtualSheetMusic. Alle Noten von Traditional Rhyme zum Herunterladen bei VirtualSheetMusic. Instantly downloadable sheet music by Rowland Prichard for choir and piano (SATB) of MEDIUM skill level. Alle Notenausgaben von An Invitation To Joyful Praise zum Herunterladen bei VirtualSheetMusic. Alle Noten von Rowland Prichard zum Herunterladen bei VirtualSheetMusic. Instantly downloadable sheet music by Brad Nix for choir and piano (SATB) of MEDIUM skill level. Alle Notenausgaben von Light The Advent Candles zum Herunterladen bei VirtualSheetMusic. Alle Noten von Brad Nix zum Herunterladen bei VirtualSheetMusic. Instantly downloadable sheet music by Joseph M. Martin for choir and piano (3-Part Mixed) of MEDIUM skill level. Alle Notenausgaben von Celebrate Music zum Herunterladen bei VirtualSheetMusic. Alle Noten von Joseph M. Martin zum Herunterladen bei VirtualSheetMusic. Instantly downloadable sheet music by Christina Rossetti for choir and piano (SATB) of MEDIUM skill level. Alle Notenausgaben von In The Bleak Midwinter zum Herunterladen bei VirtualSheetMusic. Alle Noten von Christina Rossetti zum Herunterladen bei VirtualSheetMusic. Instantly downloadable sheet music by Joseph M. Martin for choir and piano (2-Part) of MEDIUM skill level. Alle Notenausgaben von Chariots, Bones, And Wheels zum Herunterladen bei VirtualSheetMusic. Instantly downloadable sheet music by Rollo Dilworth for choir and piano (SATB) of MEDIUM skill level. Alle Notenausgaben von Travelin` Train zum Herunterladen bei VirtualSheetMusic. Alle Noten von Rollo Dilworth zum Herunterladen bei VirtualSheetMusic. Instantly downloadable sheet music by Cindy Berry for choir and piano (SAB) of MEDIUM skill level. Alle Notenausgaben von Christ The Lord Is Risen Today zum Herunterladen bei VirtualSheetMusic. Alle Noten von Cindy Berry zum Herunterladen bei VirtualSheetMusic. Instantly downloadable sheet music by Miscellaneous for choir and piano (2-Part) of MEDIUM skill level. Alle Notenausgaben von Shady Grove zum Herunterladen bei VirtualSheetMusic. Alle Notenausgaben von She Moved Thro` The Fair (She Moved Through The Fair) zum Herunterladen bei VirtualSheetMusic. Instantly downloadable sheet music by Greg Gilpin for choir and piano (SAB) of MEDIUM skill level. Alle Notenausgaben von Our Journey Continues zum Herunterladen bei VirtualSheetMusic. Alle Noten von Greg Gilpin zum Herunterladen bei VirtualSheetMusic. Instantly downloadable sheet music by Bob Marley for choir and piano of MEDIUM skill level. Alle Notenausgaben von Redemption Song zum Herunterladen bei VirtualSheetMusic. Alle Noten von Bob Marley zum Herunterladen bei VirtualSheetMusic. Instantly downloadable sheet music by John Farrar for choir and piano (2-Part) of MEDIUM skill level. Alle Notenausgaben von You`re The One That I Want zum Herunterladen bei VirtualSheetMusic. Instantly downloadable sheet music by Katherine Lee Bates for choir and piano (3-Part) of MEDIUM skill level. Alle Notenausgaben von America! (Medley) zum Herunterladen bei VirtualSheetMusic. Instantly downloadable sheet music by Appalachian Folk Song for choir and piano (3-Part Mixed) of MEDIUM skill level. Alle Notenausgaben von The Bird`s Courting Song zum Herunterladen bei VirtualSheetMusic. Alle Noten von Appalachian Folk Song zum Herunterladen bei VirtualSheetMusic. 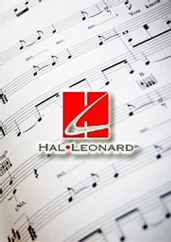 Instantly downloadable sheet music by George Frideric Handel for choir and piano (SATB) of MEDIUM skill level. Alle Notenausgaben von I Know That My Redeemer Liveth zum Herunterladen bei VirtualSheetMusic. Instantly downloadable sheet music by Ruth Morris Gray for choir and piano (SAB) of MEDIUM skill level. Alle Notenausgaben von Children Of The World zum Herunterladen bei VirtualSheetMusic. Alle Noten von Ruth Morris Gray zum Herunterladen bei VirtualSheetMusic. Instantly downloadable sheet music by John Leavitt for choir and piano (SSA) of MEDIUM skill level. Alle Notenausgaben von In Remembrance zum Herunterladen bei VirtualSheetMusic. Instantly downloadable sheet music by Tim Gregory for choir and piano of MEDIUM skill level. Alle Notenausgaben von Karibu Wageni (Welcome Visitors) zum Herunterladen bei VirtualSheetMusic. Alle Noten von Tim Gregory zum Herunterladen bei VirtualSheetMusic. Instantly downloadable sheet music by Ian R. Charter for choir and piano (SATB) of MEDIUM skill level. Alle Notenausgaben von As Lately We Watched zum Herunterladen bei VirtualSheetMusic. Alle Noten von Ian R. Charter zum Herunterladen bei VirtualSheetMusic. Instantly downloadable sheet music by David Par Chavajay for choir and piano (2-Part) of MEDIUM skill level. Alle Notenausgaben von Aj Samajel Achi (Un Hombre Trabajador – A Hard-Working Man) zum Herunterladen bei VirtualSheetMusic. Alle Noten von David Par Chavajay zum Herunterladen bei VirtualSheetMusic. Instantly downloadable sheet music by Valerie Crescenz for choir and piano (2-Part) of MEDIUM skill level. Alle Notenausgaben von Play The Dreidel Game zum Herunterladen bei VirtualSheetMusic. Alle Noten von Valerie Crescenz zum Herunterladen bei VirtualSheetMusic. Instantly downloadable sheet music by John Purifoy for choir and piano (2-Part) of MEDIUM skill level. Alle Notenausgaben von On A Peacful Winter`s Night zum Herunterladen bei VirtualSheetMusic. Instantly downloadable sheet music by Michael Barrett for choir and piano (SATB) of MEDIUM skill level. Alle Notenausgaben von The Lord Is Risen zum Herunterladen bei VirtualSheetMusic. Alle Noten von Michael Barrett zum Herunterladen bei VirtualSheetMusic. Alle Notenausgaben von Billy Broke Locks zum Herunterladen bei VirtualSheetMusic. Instantly downloadable sheet music by Linda Marcus for choir and piano (SATB) of MEDIUM skill level. Alle Notenausgaben von Hanukkah, The Season Of Light zum Herunterladen bei VirtualSheetMusic. Alle Noten von Linda Marcus zum Herunterladen bei VirtualSheetMusic. Instantly downloadable sheet music by Greg Gilpin for choir and piano (2-Part) of MEDIUM skill level. Alle Notenausgaben von Rise Above The Walls zum Herunterladen bei VirtualSheetMusic. Instantly downloadable sheet music by Miscellaneous for choir and piano (3-Part Treble) of MEDIUM skill level. Alle Notenausgaben von Adoramus Te zum Herunterladen bei VirtualSheetMusic.